1. 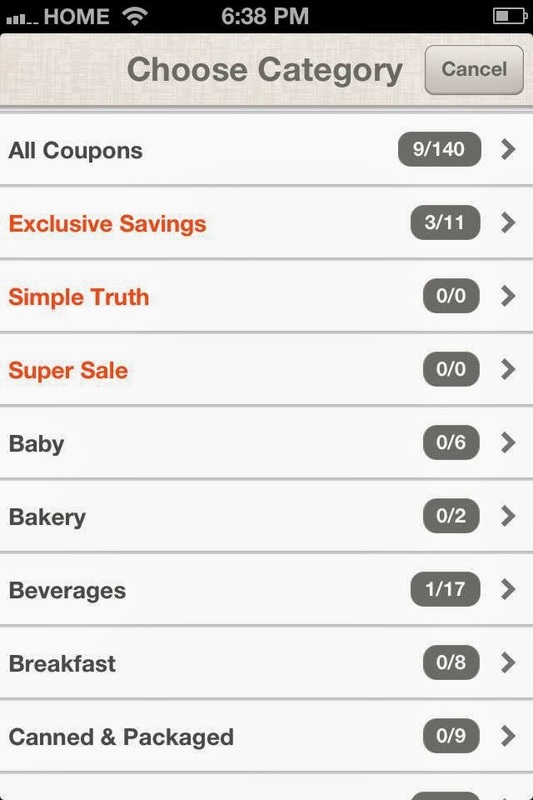 Noticed the new coupon categories in red on the Kroger iPhone app? I got a lot of items for FREE today. These new red coupon categories didn't show up until I updated my app the other day. 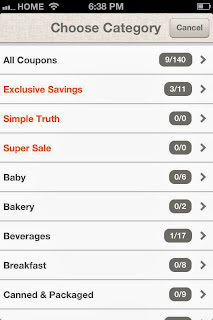 I downloaded all the FREE coupons under Exclusive Savings and got $10 worth of FREE Items. 2. Look on your Kroger receipt for WOW Fuel Points. You can earn 50 fuel points once a week for filling out an online survey. September 27 only, download a digital coupon for a FREE package of Hillshire Farm Bold Flavored Lunchmeat directly to your Plus Card! Coupon offer redeemable through October 12, 2013.